1600W Wall Chaser cuts clean channels into plaster brick thermalite block and concrete. 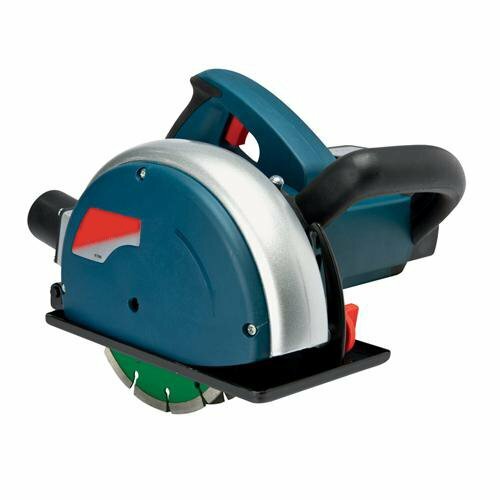 Adjustable cutting width 14/19/29mm and depth 10-42mm. Optimal dust extraction and safety due to enclosed guard. Blade diameter 150mm with 22mm bore. Includes 6mm hex spanner wrench chisel side handle dust adaptor pair of carbon brushes and 2 x wet diamond discs.